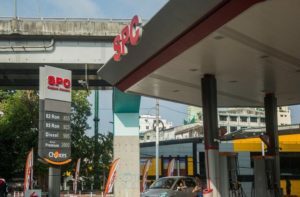 PetroChina International has launched its service station in Myanmar, marking the Chinese state-run oil major’s first foray into the country’s fuel station market. The filling station is a joint venture between PetroChina International’s Singapore unit Singapore Petroleum Co (SPC) and Shwe Taung Energy Co, a subsidiary of Shwe Taung Group. Shwe Taung said it will upgrade all of its outlets into SPC brand. The companies renovated a 750m2 gas station into an SPC facility located at the corner of Pyay Road and Dhammazedi Road in Sanchaung township. It was launched on March 30 and is supplied with gasoline imported from SPC’s Singapore refinery. 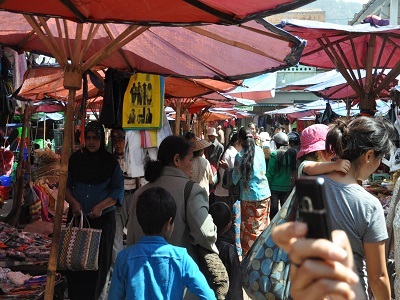 This is the first international name to enter Myanmar since the Myanmar Investment Commission (MIC) liberalised the retail energy sector in 2017. MIC Notification 15, issued in April 2017, stipulates that foreign investors only need approval from the Ministry of Electricity and Energy (MOEE) to distribute and sell fuel. Cycle & Carriage Myanmar has opened a second Mercedes-Benz automobile showroom in Mandalay at The Move shopping centre. The new facility offers displays of Mercedes-Benz automobiles and expert service in one place for customers in northern Myanmar, said U Aung Moe Kyaw, managing director of Cycle & Carriage Myanmar. International investors are interested in Mandalay, which has a population of 1.3 million, as a trading centre. Its main highway provides easy access to the China border and Yangon. The vehicle ownership rate in Mandalay is only seven per 1000 people, and as there are few luxury cars in Myanmar, it means there is a large market for Cycle & Carriage Myanmar. “We have made arrangements for buyers to be able to make hire purchases via AYA, Yoma and CB banks. Cycle & Carriage is 120 years old, so to celebrate, we will be giving out trips to Mongolia, Nepal and South Korea as special presents,” said Cycle & Carriage’s Divisional Manager Charles Cambournac. Through November 30, buyers from Singapore, Malaysia and Myanmar will have a chance to participate in a lucky draw whenever they spend US$10,000 (K15.13 million) for a Mercedes-Benz, Mazda, or a Mitsubishi Fuso truck. Sea Lion , which provides services in healthcare, biomedical, life science, technical education and industrial automation in Myanmar, yesterday opened a Distribution Solutions Centre worth US$10 million to improve supply chain efficiency and to and to fulfill rising and changing demands of customers in Kyan Sitt Thar Industrial Zone, South Dagon Township, Yangon. Spanning over 6,870 square meters in a total land area of 8.7 acres, the facility is expected to be among the best in providing storage and logistics solutions for the full range of capital medical equipment and implantable devices, medical consumables, and pharmaceutical products, said Dr U Win Zaw Aung, managing director of Sea Lion. Designed by Civil Tech International Co Ltd of Thailand, the facility, which took 13 months to complete, is equipped to offer efficient supply chain solutions in climate-controlled warehousing, online inventory management, and nationwide distribution services for all customers. Sea Lion is ISO 9001:2015 certified for quality management systems. The Distribution Solutions Centre is in the final process to be certified ISO 13485:2016 for quality management systems for medical devices and related services. The next step for expansion is to build a manufacturing facility for healthcare products to optimise supply chain management and to help offer affordable quality healthcare products in Myanmar. The Myanmar subsidiary of German retail group Metro AG has raised a US$20m loan from the International Finance Corporation, the private-sector arm of the World Bank. The IFC said the financing aims to drive up agricultural incomes as well as improve the quality and availability of local produce, benefiting buyers and end consumers. The terms of the loan were not disclosed. It also said the investment will help Metro source the majority of its produce from local farmers and companies, raising food safety standards and creating employment opportunities in food processing and logistic services. The loan will eventually benefit small businesses and service providers along the value chain. 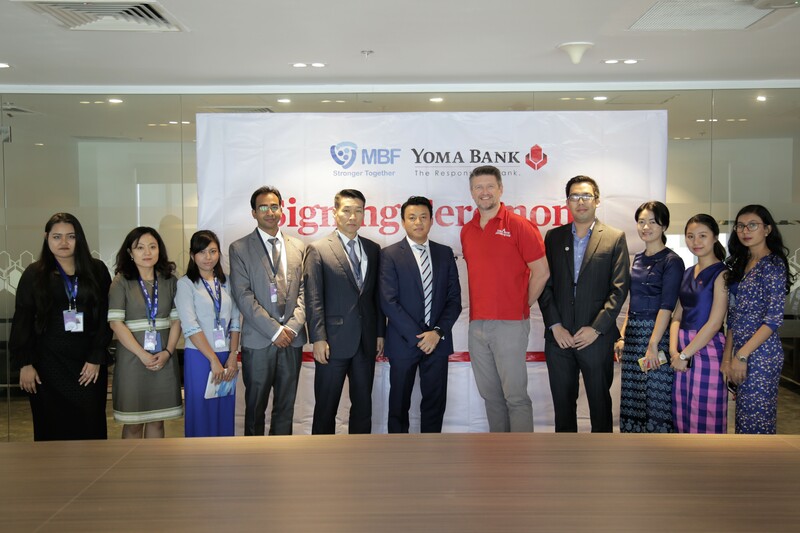 Mahar Bawga Finance (MBF), a Myanmar non-banking finance institution (NBFI), and Yoma Bank last Friday signed a semi-collateralised funding agreement under which Yoma will provide MBF with K2.2 billion in funds to support its operations. The agreement, which aims to address growing borrower demand for unsecured loans for personal or business development, could see MFB adding up to 5000 new customers to its client base. Since starting operations in 2014, MBF has more than 14,000 clients in Yangon and now has an aggregate loan book totaling K4.59 billion. 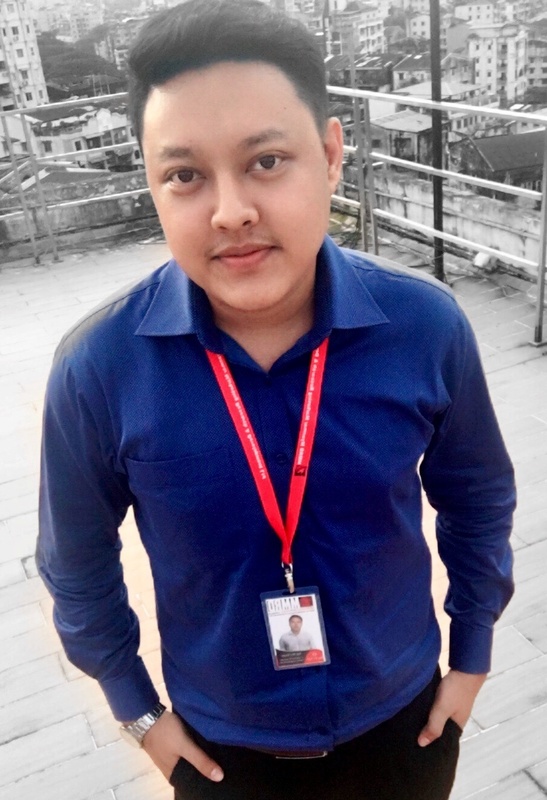 The semi-collaterised agreement supporting NBFIs is a first for Yoma Bank in its drive to bring the unbanked population of Myanmar into the formal financial system. The bank believes the agreement will not only be mutual beneficial for those involved, but also to consumers by improving the level of their borrowing behavior and financial literacy. 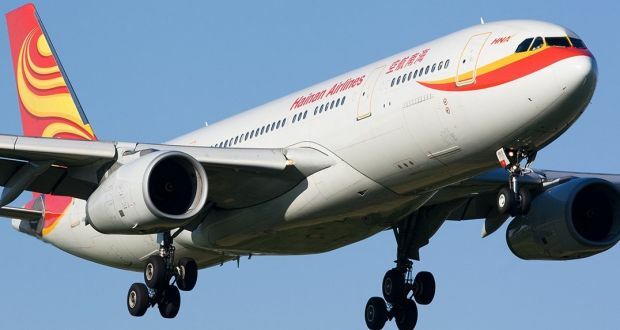 Hainan Airlines, China’s fourth largest airline, on Sunday began providing direct flights from Yangon to the south-western port city of Chongqing. The airline is the 32nd international airline to operate in Yangon, according to a statement from the Yangon Aerodome Co Ltd (YACL). Hainan Airlines will fly the Yangon-Chonqing route four times a week using Boeing 737-800 aircraft, which has a 156-seat capacity. It hopes to carry about 1300 passengers weekly. Following its substantial growth last year, Grab, a Singapore-based technology firm providing the most popular ride-hailing service in Myanmar, recently announced its plans for expansion in the market, according to Alvin Loh, acting country manager of Grab Myanmar. Loh takes the pride in saying that Grab Myanmar enjoyed 300 percent growth in terms of daily rides last year, when compared to 2017. Last year, passengers in Yangon traveled over 93 million kilometers through the application. 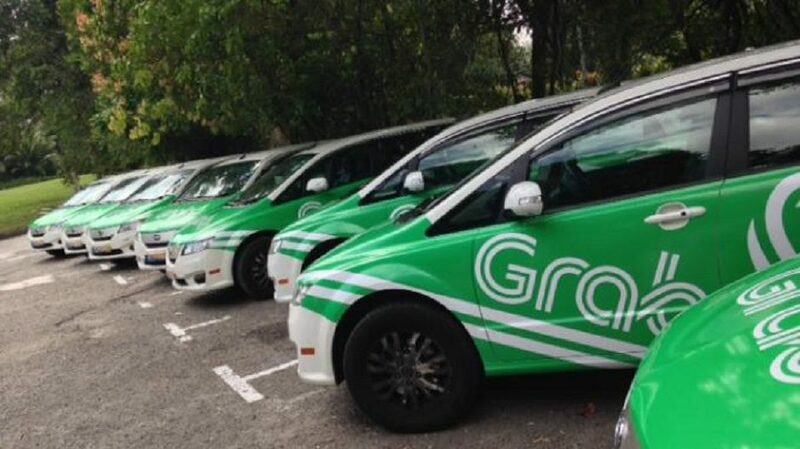 85 per cent of all rides were rated 5-stars by passengers last year, proving that the passengers are extremely satisfied with Grab’s services said Lou. 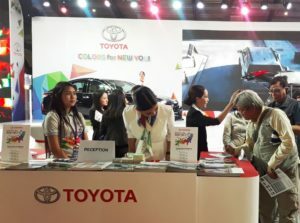 The chief minister said Myanmar is a car market because it has only about 800,000 cars despite a population of over 50 million. This is the first international auto show Myanmar is hosting with a display of Toyota, Suzuki, Ford, BMW, Scania and DFM-Myanmar. The current auto show is very important and efforts are necessary to attract more enthusiasts to car shows in order for the public to have extensive knowledge of automobiles, the chief minister added. He said such an automobile show was the first step towards international level show. He laid out the government’s preparations for facilitating car imports as well as giving opportunities for domestic car production. Local digital payments provider Ongo and mobile data operator Ananda announced a partnership to expand the reach of their services in Myanmar. Ananda users will have the added option of topping up their accounts at Ongo agents across the country as well as on its mobile application when they sign up for Ongo’s payment services. Meanwhile, Ongo users who subscribe to Ananda’s 4G+ data service can also pay for the service on the Ongo app. Ongo’s digital payment system aims to reduce the cash handling burden for businesses as well as function as a digital wallet for individuals. 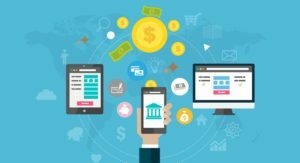 More recently, it introduced a mobile payroll to employers, negating the need to process individual cash salary payments for employees. 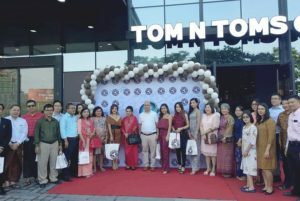 TOM N TOMS, a cafe chain based in South Korea, has already opened two outlets in Myanmar. The first one is in Yangon international airport and the second one is at the Kantharyar Center in Yangon. The next spots will be in the Yankin Township and Secretariat Building in Yangon. In 2019, 5 outlets of TOM N TOMS will be opened here. In 2020, TOM N TOM will be opened in Mandalay, Taungggyi, and Nay Pyi TAw according to Myanmar International Business Alliance Company, the franchise of TOM N TOMS Coffee. TOM N TOMS was established in 1998 in South Korea. From them on the company has established branches and franchises across the world including Singapore, Malaysia, Mongolia, Thailand, the Philippines, United States, and China. TOM N TOM entered Myanmar market in 2018. If you prefer to read previous version with PDF format, click here to go to our bulletin library . MMRD helping clients unlock growth opportunities and shape tomorrow’s Myanmar. MMRD Research Services is a company of MMRD Group. Contact Us to find out how we can help you reach your business goals in Myanmar.